The beating heart-symbol of both life and love-is important to safeguard in modern society. With cardiovascular disease still ranking as one of the leading cause of death in North America, adopting a lifestyle that keeps the heart healthy is vital. When it comes to heart disease, prevention, not treatment after the fact, is critical. After all, it's a little late to be thinking about your heart after you have had a heart attack. Unfortunately, many people are misplacing their efforts at prevention on the issue of cholesterol, thinking that lowering cholesterol is the best way to prevent cardiovascular disease. However, this focus on cholesterol is misplaced. High cholesterol is not the cause of coronary heart disease. This is easily confirmed by the fact that years of using statin drugs to lower cholesterol have not reduced the rate of death from cardiovascular disease. In fact, contrary to popular belief, cholesterol levels can get too low. Cholesterol is a vital nutrient in the body and some level of cholesterol is needed to maintain optimal health. More and more research is emerging which suggests that cholesterol levels below 200 are not healthy. In fact, you may be at greater risk from dying of a heart attack with cholesterol below 175 than you are with cholesterol over 350. Low cholesterol readings are associated with increased risk of cancer, stroke, suicide, and death from coronary heart disease. Low cholesterol is also associated with infertility, erectile dysfunction, increased risk of infection, and reduced protection from neurotoxins, mercury and heavy metals. In spite of the fact that there is no scientific evidence showing that statin drugs reduce the risk of heart disease, these drugs continue to be prescribed for people with healthy levels of cholesterol. Statin drugs are big money makers. Fourteen billion dollars worth of statin drugs are sold annually. For source material documenting this information on cholesterol, heart disease and statin drugs, see the summary below. These references will give you the citations from medical journals substantiating these facts. Meanwhile, research is also clarifying what really does work to prevent heart disease, and that is what this issue is all about. 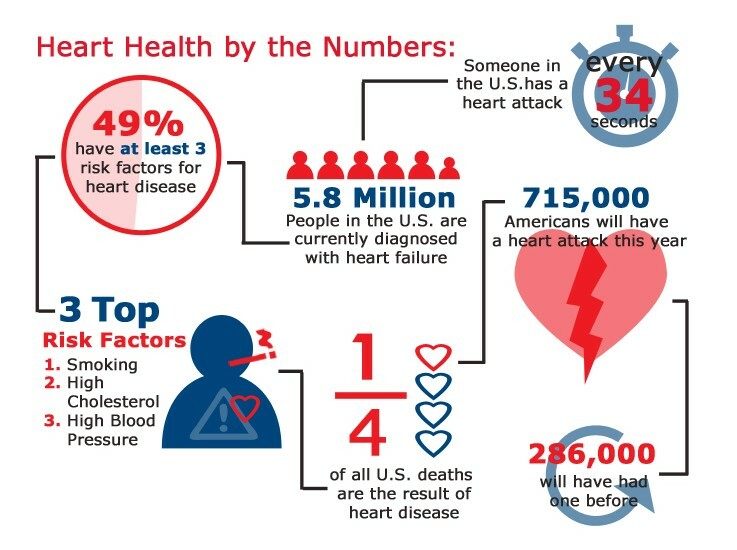 So, read on to learn the secrets of keeping your heart healthy and reducing your risk of cardiovascular disease. When it comes to supplements for the heart, the first thing we want to do is reduce inflammation. In addition to general anti-inflammatories like Thai-Go, Co-Q10 is a very specific anti-inflammatory for the heart. Co-Q10 is an enzyme found in all body cells but most commonly in the heart. Scientific studies have shown that people who have suffered a heart attack or who have high blood pressure greatly improve by taking Co-Q10. Large doses have even helped repair heart tissue after a heart attack! Anyone who has problems with bleeding gums is at risk for cardiac inflammation, as there is a strong correlation between the two. Co-Q10 helps reduce inflammation in both the heart and the gums. Statin drugs deplete Co-Q10 levels, so anyone taking statins should also take Co-Q10, Co-Q10/100 is a good choice for a supplement. We want to strengthen the heart muscle and improve peripheral circulation. Hawthorn is also a specific anti-inflammatory for the heart but it has added benefits of being a cardiac tonic to strengthen the heart muscle. Studies around the world have confirmed that hawthorn berries improve the tone of the cardiac muscle, improve oxygen uptake by the heart, improve circulation in the heart, energize the heart cells and dilate blood vessels in the extremities to reduce strain on the heart. Another herb that is helpful for the heart is capsicum. Capsicum increases circulation to every area of the body that it comes in contact with, internally or externally. Capsicum also strengthens the heartbeat and has anti-inflammatory properties of its own. Garlic is another herb that is beneficial for the heart. It helps to lower blood pressure, reduce arterial plaque, eliminate excess "oxidized" cholesterol and prevent blood clots from forming in the arteries. It is combined with hawthorn and capsicum in HSII, a great herbal formula to help keep the heart healthy. HSII has been used to help angina, arrhythmia, high blood pressure, poor circulation, dropsy, thrombosis and cardiac weakness. It has also been taken along with Co-Q10 to help prevent heart disease. Cardio Assurance combines the benefits of a number of heart protecting herbs and nutrients into one product. It helps strengthen and regulate the heartbeat and increases peripheral circulation. It also helps prevent and possibly reduce arterial plaque. Magnesium is an essential mineral for cardiac health. It regulates the heartbeat and lowers high blood pressure. It prevents strokes by reducing platelet adhesiveness by about 40%. It also helps to absorb plaque. It can be used like beta-blockers to prevent the heart from having spasms. Blood Pressurex works on the problem of high blood pressure from several angles. It reduces arterial inflammation and helps dilate peripheral blood vessels. It won't work in all cases of high blood pressure, but is helpful in a majority of cases. CardioxLDL supports cardiovascular function. This unique and powerful herbal formula helps to modulate cholesterol oxidation. CardioxLDL combines Citrus bergamia Risso extract with a proprietary blend of high-ORAC antioxidants that help support total cholesterol and triglyceride. It works in part by blocking an enzyme the liver needs to produce LDL cholesterol. This unique combination of Citrus bergamia fruit extract and antioxidants naturally supports healthy cholesterol and blood sugar levels. Last, but not least, MegaChel is a powerful antioxidant supplement that actually helps reverse hardening of the arteries. Used as part of an oral chelation program, it can improve peripheral circulation, reduce blood pressure, improve memory and concentration, and reduce heavy metal toxicity. Many elderly people use it as their multiple vitamin and mineral supplement to keep their cardiovascular system in good working order. In learning how to keep our heart healthy, let's start with the basics. 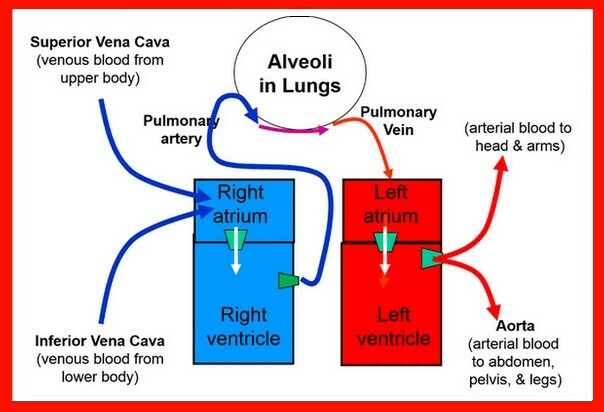 The heart is a pump, and like all pumps, it operates most efficiently within a certain range of pressure. When it is forced to operate above that ideal pressure range, it becomes less efficient. There are several factors which force the heart to have to work harder (i.e., apply more pressure) to keep the blood flowing. Stress can constrict arteries, which makes the heart have to work harder --so can fluid retention in the tissues. The primary cause of modern heart disease, however, is the build up of a plaque on the inside walls of the arteries, which constricts blood flow, just as corrosive deposits on the inside of a water pipe restrict water flow. When this plaque forms in the coronary arteries (the arteries which feed the heart) the heart does not get the blood and oxygen it needs. If the blockage is partial, the heart works even harder, raising blood pressure even more. When the blockage is complete (usually because a blood clot gets stuck in a constricted passage) the heart tissues start to die, and that is what we call a heart attack. Because the plaque that forms on the arteries contains cholesterol, cholesterol has been wrongly blamed as a cause of heart and cardiovascular disease. As we mentioned above, this simply is not the case. The real cause of this plaque formation is inflammation. Inflammation is the response of tissues to some kind of damage or irritation. Inflammation is also linked with free radical damage, which is now known to be part of the underlying cause of aging. So, in order for heart disease to develop, some kind of toxin or irritant has to come along and cause an inflammatory response on the lining of the blood vessels. This helps explain why heart disease is more prevalent in civilized countries-they have more pollutants and chemicals in the environment that cause inflammation. Higher cholesterol levels can be associated with heart disease because the body will sometimes elevate cholesterol to engulf these toxins. So, the cholesterol may actually be rising to try to stop the tissue irritation. The cholesterol can also lay down across the damaged areas like a patch to help protect the arteries. So, if we really want to reduce our risk of heart disease, we have to reduce sources of tissue irritation, which cause inflammation. This means avoiding chemicals and toxins as much as possible. Consuming antioxidant and anti-inflammatory foods, herbs and supplements can also help. We'll talk more about that later. The main cause of heart disease is not dietary cholesterol but rather oxidized cholesterol and fats—especially from too many polyunsaturated vegetable oils and fried foods. Dr. Fred Kummerow, an emeritus professor of comparative biosciences, recently published a paper in the American Journal of Cardiovascular Disease reviewing his life’s work of 60 years on the dietary factors—especially oxidized cholesterol–that contribute to heart disease. In Dr. Kummerow’s view and the view of an increasing number of experts, the primary cause of heart disease is oxidized cholesterol and fats. When fats degrade, free radicals “steal” electrons and a free radical chain reaction mechanism ensues, leading to cell damage. Inflammation and arterial plaque are not the only things that stress the heart. Remember that the heart is a muscle, and like all muscles it needs exercise to keep it toned. One does not have to engage in extreme sports, either. Brisk walking, swimming, running, or any activity which increases heart rate is going to be helpful. Exercise is helpful for maintaining proper weight, too. This is important because the heart is also forced to work harder by excess weight. Just one pound of fatty tissue contains one mile of capillaries that the heart has to pump blood through. So, every pound of excess body fat we lose takes tremendous stress off the heart. As a muscle the heart can also develop a spasm. When arteries are constricted, a spasm in the heart muscle can also trigger a heart attack. These spasms are often due to magnesium deficiency and increasing levels of magnesium, (not calcium) in the body can help reduce the risk of heart disease. Magnesium can be taken as a supplement but is also found in dark green leafy vegetables. Interestingly enough, indigestion can also cause problems with the heart due to a very common problem called a hiatal hernia. A hiatal hernia is when the stomach slides upward into the opening in the diaphragm for the esophagus. This constricts the diaphragm and prevents abdominal breathing. It also puts pressure on the heart. When the abdomen becomes bloated because of gas, it can press the stomach further upwards against the heart and cause the heart to spasm. It is possible that a large number of heart attacks are triggered this way. Finally, the heart is regulated by the nervous system. So nervous system problems such as stress also have a large impact on cardiac function. Before we jump into talking about supplements, let's remember that supplements are exactly what their name implies, something to supplement an otherwise healthy diet and lifestyle. So, let's get realistic here. You are not going to create a serious heart disease prevention program just by taking supplements, even though the supplements will help. You need to think about lifestyle, because heart disease is a disease of lifestyle. So, let's look at some of these lifestyle factors. Tobacco smoke contains almost 5,000 different chemicals, many of which damage and inflame the artery walls, starting a cascade of damage-inflammation plaque buildup which ultimately leads to arteriosclerosis, the narrowing of artery walls that we mentioned above. In addition, nicotine constricts blood vessels, increasing blood pressure and forcing the heart to work harder. The good news is that people who quit smoking start to get significant benefits immediately. Their risk of heart disease drops dramatically within one year of quitting. Lobelia and Nutri-Calm can all help someone who is trying to quit smoking. Regular exercise has almost the opposite effect of smoking: it increases blood flow to the heart and strengthens the heart so that it pumps more blood with less effort. Exercise also can reduce your chances of developing other conditions that may put a strain on your heart, such as high blood pressure, high cholesterol and diabetes. And finally, exercise can reduce stress. When it comes to diet, there has been a lot of talk-and a lot of confusion-about how to eat to reduce one's risk of heart disease. Many people think that eating a fat free diet, or avoiding foods which contain cholesterol, like eggs and red meat will reduce their risk of heart disease. This is not necessarily true. What is more important is to consume a lot of fresh fruits and vegetables, because they are loaded with antioxidants, which reduce inflammation (the real underlying cause of heart disease). To get the maximum benefit, look for fruits and vegetables that are in season and locally grown, rather than the supermarket variety which are often picked green and treated to artificially ripen them. Local seasonal produce tastes better, too. To supplement your intake of antioxidants consider ThaiGo, a blend of fruit juices and other botanical ingredients that are rich in naturally occurring antioxidants such as polyphenols, flavonoids, xanthones and vitamin C. It's a great supplement to take for those who are not getting enough fresh fruits and vegetables in their diet. When it comes to nutrition, the heart needs fats, because fatty acids are the preferred fuel for the heart. The problem is that most people are eating the wrong kinds of fats. When the Omega-6 oils that form the bulk of most people's diets are combined with a low intake of Omega-3 essential fatty acids and high levels of insulin in the blood, they tend to be pro-inflammatory (meaning they contribute to inflammation and thus plaque formation). So, from a dietary perspective, it is not just about reducing fat intake, it is about eating higher quality fats, like olive oil, flax seed oil, and the oils in avocados and nuts. Supplementation with Super Omega 3 EPA or Super GLA may be helpful, too. Nutritionally, it is also important to work on reducing high levels of insulin in the blood (a condition known as hyperinsulinemia). Hyperinsulinemia is a much greater risk factor for heart disease than high levels of cholesterol and is linked with high blood pressure, arteriosclerosis, obesity and stroke. When we eat too many simple carbohydrates, refined sugars, grains (especially refined grains) and starchy foods like potatoes, the body has to produce more insulin to process the sugars we consume. Insulin drives sugar into storage, and much of it gets stored as fat. As the cells of the body become increasingly resistant to insulin, diabetes occurs. Diabetes is a key risk factor for heart disease. Supplements like Sugar Reg, Pro-Pancreas, Chromium GTF or Blood Sugar Formula can be helpful in managing blood sugar. It is possible to reduce one's risk of heart disease, and improve one's quality of life in the process, using some common sense health habits combined with a few well chosen supplements. For more information on natural remedies for heart health, consult with your health professional. * The Cholesterol Myths: Exposing the Fallacy That Saturated Fat and Cholesterol Cause Heart Disease by Uffe Raynskov, MD, Ph.D.